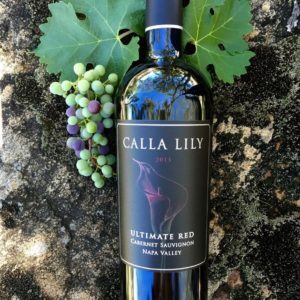 AUDAX, meaning “bold” in Latin, is Calla Lily Estate’s barrel-selection reserve wine made as a tribute to the pioneers of Napa Valley, many of whom settled in Pope Valley, by its fourth generation winemaker, Cary Gott. 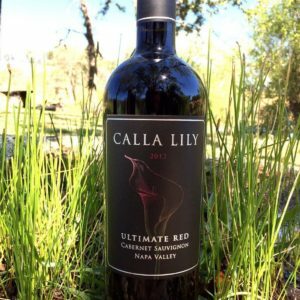 This wine is mostly cabernet sauvignon (86.6%) blended with small amounts of merlot (13.2%) and cabernet franc (0.2%). Following fermentation, the wine was aged for 27 months in French oak barrels (50% new). It comes in at 14.5% ABV. The wine showed a dark ruby color. Black cherry, vanilla, eucalyptus, licorice, raspberry preserves and oak all arrived on the nose. Black cherry, vanilla, eucalyptus, raspberry, licorice, cassis and oak followed on a palate that lead off with the perfect balance of cherry and vanilla. The wine exhibited great structure and length, along with big, chewy tannins. This wine could cellar for 5-6 years. It can also be enjoyed now after decanting paired with a seared dry-aged ribeye.